Services will be held for my cousin Leo three weeks from now. His ashes will be spread on the hills of his homestead in North Dakota. He is a, Purple Heart, Vietnam veteran. I am not a veteran…….. Would it be appropriate for me to play ‘Taps’ for Leo. I don’t play bugle, I play harmonica….. I teach music at a private elementary school. We are inviting local veterans and their families to a special chapel service at which we will educate our students about the meaning of Veterans Day and sing a tribute and perform the Armed Forces Salute medley. Is it appropriate to play Taps when honoring veterans in such a way, or should that be reserved for commemorating the deaths of those who served? 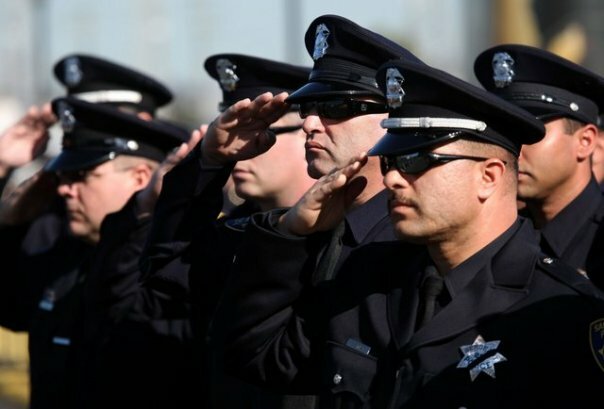 Is it permissible to play taps at a non-veterans funeral? Follow-up to my original post – the question was for when we were at Arlington National Cemetery. Are Boy Scouts in uniform allowed to render a salute during the wreath laying? My husband is currently serving and I am a veteran. Both of us say no. However, our son’s scoutmaster said yes. Protocol requested. Thank you. 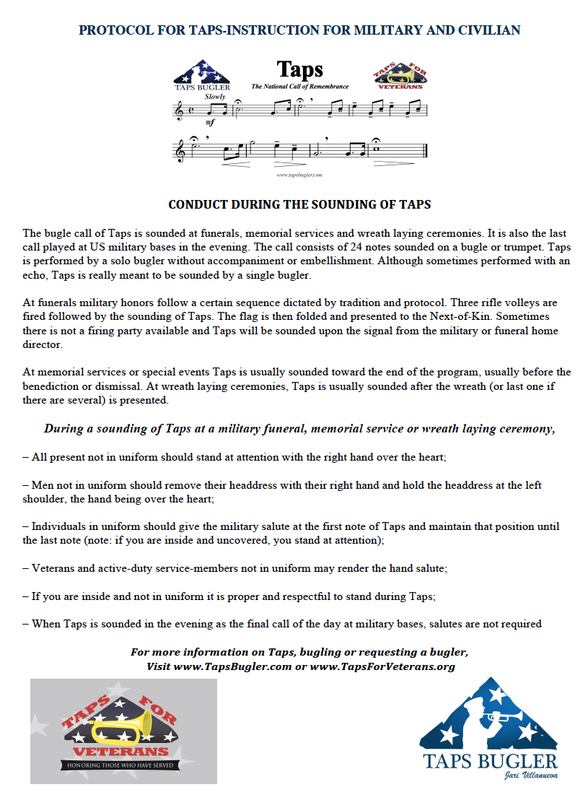 I’ve read all over the web what to do during Taps, but what to do after? Is it customary during a school assembly or special ceremony to start talking or applaud? I think not, but I didn’t know if there was protocol…. The reason it stopped is that it was an electronic bugle and the battery has a bad habit of running out in the middle. 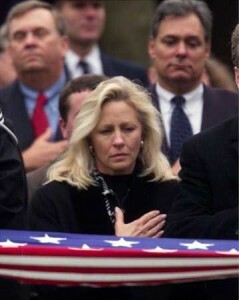 As for the bad flag fold it’s due to poor training. This is not an uncommon complaint.